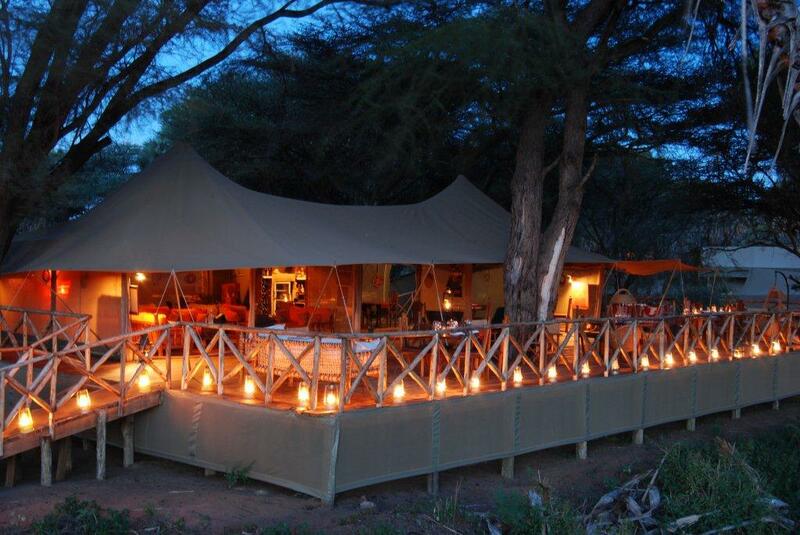 Set on the banks of the Ewaso Nyiro River in Samburu National Reserve surrounded by doum palms and other beautiful indigenous trees and shrubs sits this small and exclusive camp of 12 luxury tents - all furnished in rustic African style while offering all the comforts expected of a luxury Camp (hot & cold running water‚ electricity and herbal products). Huge herds of elephant‚ prides of lion or the solitary leopard amongst other game are regular visitors around the camp providing excellent game viewing in spectacular scenic background of rugged rolling hills. Arrive at Safarilink lounge‚ Wilson Airport for your scheduled flight to Samburu. The flight is approximately 1hour 20minutes from Wilson Airport. 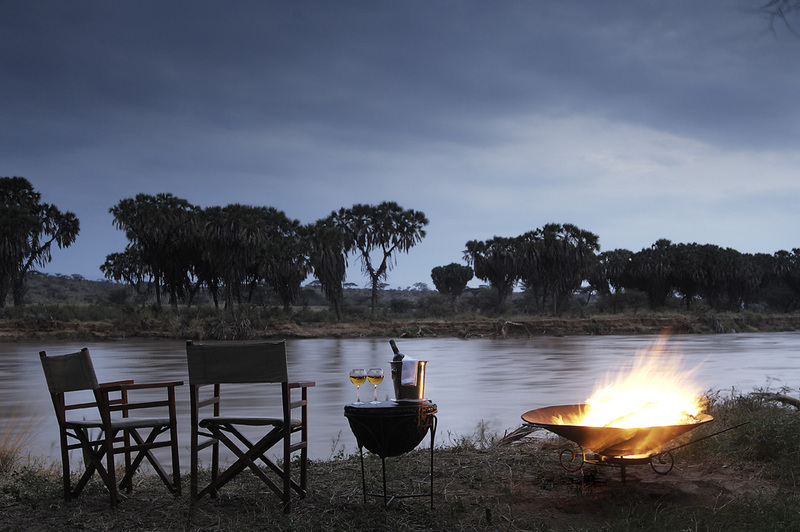 On arrival you will be met by the camp driver guide and transferred to the camp with a game drive en-route. Check-in and have lunch at the camp. Thereafter‚ enjoy an afternoon game viewing drive. You will set out just before dawn in search of game as you enjoy the stunning landscapes and sunrise. 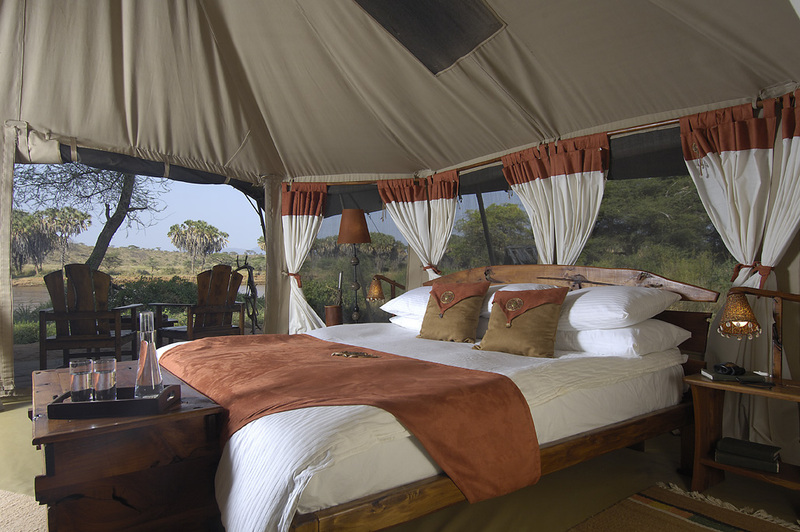 You will then head back to camp for breakfast or enjoy a bush breakfast. Later in the afternoon after lunch; you will embark on an afternoon game drive or you can choose to have a cultural visit or lecture on the Samburu culture thereafter enjoy a sundowner just before your 4 course candle lit gourmet dinner set either under the African sky or inside the well appointed dining area. Enjoy a final early morning game drive before breakfast‚ after which you will be transfered to the airstrip for your flight back to Nairobi.